We passed by the Adidas store in Greenbelt yesterday since hubby wanted to sign-up for the King of the Road marathon slated for October 23. For every PHP5000 worth of items purchased, you get a 50% discount on the joining fee. For every PHP7000 worth of items, the joining fee is FREE. 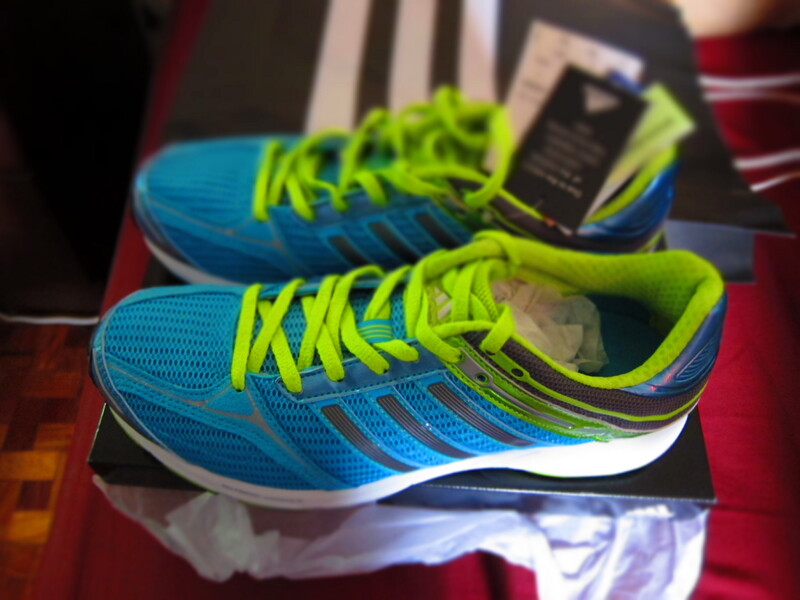 I needed a new pair of running shoes and was eyeing the Adizero for quite some time already. Below is a picture. It has arch support and is supposed to help with flat footed individuals like me. Hoping to use it after giving birth to get back into shape. My goal is to be able to get back my pre-pregnancy weight by this year! Since, I still owe hubby a birthday gift, we ended up buying his choice below. 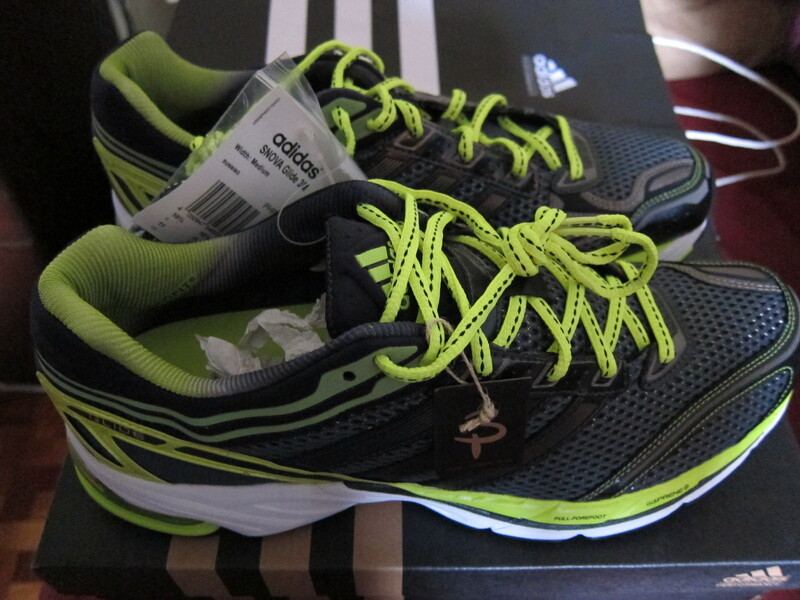 Hubby will be running the 21k marathon. It would be his first half-marathon run!